In the past couple of years, Disney has started remaking and reimagining some of the classic movies they made in the past. 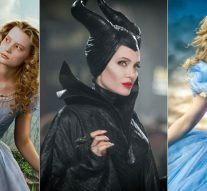 Disney has taken these remakes as a chance to change up how they told these classic stories, and some of these changes have improved the original tales. Giving a full commentary about all the improvements seen in all seven of the remakes Disney has done so far would be just a tad lengthy so instead the example of their Cinderella remake will be used. The live action remake of Cinderella was released in 2015. At first glance, this new movie may seem like just the classic story of Cinderella, but Disney made three especially powerful changes to their original version of this fairytale. The most important change was the message of the movie. “Have courage and be kind” was the parting advice given to young Ella by her dying mother. This phrase is the backbone to what makes this movie so wonderful, and it really shows that strength is not always physical. Rather courage and kindness can help you weather any storm. Throughout the movie, Ella’s faithfulness to her mother’s advice is tested. Her father dies, and she is made a servant, insulted, and has everything she once knew and held dear taken away from her. Yet she is still kind to her stepfamily. Her stepfamily brings up the second improvement Disney made. This improvement was in the character development of Ella’s stepmother Lady Tremaine. In the animated movie, she is simply shown as an unkind and unfair villain, and while she is all those things in the new movie, Disney also manages to make her more real. For example, they show how she is hurt when Ella and her father say how much they miss Ella’s mother. Disney does not try to make what Lady Tremaine did to Ella seem right, but they give her character more thought and dimension. With the princess and villain of this fairytale taken care of, all that is left is the third improvement Disney made, which is the prince. In the original movie, the prince is just a pretty face you see at the ball for all of five minutes who chooses to marry Cinderella after a night of dancing. In the new movie, the prince is given much more screen time, and during this time he is shown as a kind, humble, and fun prince who is respectful of his elders yet willing to stand up for what he thinks is right. This is a marked improvement on the classic version of this character. In the remake, the prince meets Ella not at the ball but while she is horse back riding and he is on a royal hunt. Ella strikes him with her daring and caring personality, and he begins to like her despite the fact that she appears to be just a simple servant girl, and in fact, gives him no reason to think otherwise. As the prince spends more time with Ella he decides he wants to marry her for who she is and is not worried about her title or lack thereof. The original gives us no view as to what the prince thinks about her station and goes straight from finding her to the wedding, skimming over what the new movie used as a powerful moment showing how much the prince loved Ella. As Ella turns to leave this chapter of her life behind, she looks to her stepmother and gives one of the most powerful lines of the movie: “I forgive you”, a final nod to just how kind Ella is. She did not have to forgive her stepmother, and most people probably would not have in her place, but this is what makes Ella such a good role model for anyone who watches this movie. She is kind even when most people would say she should not have to be kind to the very end. These changes are of course not the only good things about Disney’s new Cinderella, but these changes really made this movie spectacular and gave people a version of Cinderella that can be enjoyed for years to come.